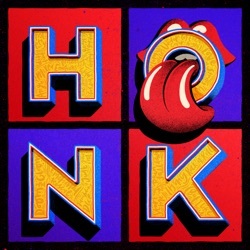 Honk is the 26th compilation album by The Rolling Stones, released by This Compilation from Universal Music on April 19, 2019. The legendary London band leaves the sixties behind and devotes itself to the years and decades that have left plenty of all-time favorites. Honk reconfigures their story from the point that Mick, Keef and co. took control of their career.